Is Twitter purposefully blocking certain accounts from becoming verified? 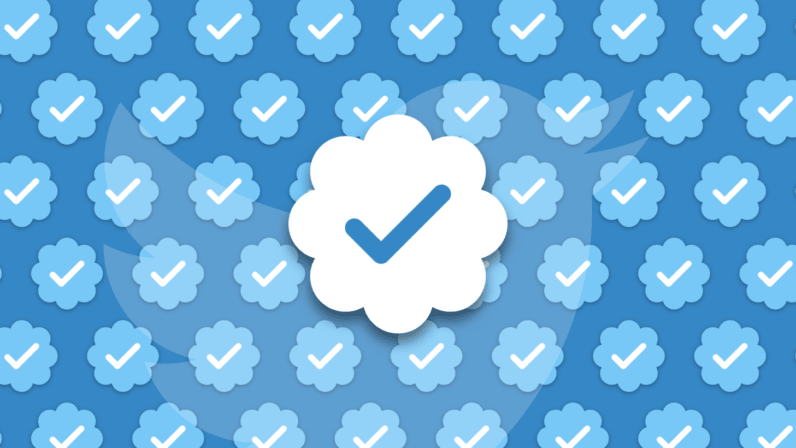 On this day, one year ago, Twitter rolled out what thousands of users were hoping for: an opportunity to be verified. Now, anyone can apply to be verified! Great, right? Not so fast, as a great many of us found out when we received denial emails within days of applying. It seemed that although there were reports that anyone can get verified, they were misleading, as the language on the company’s support page states that they still favor users of public interest in the areas of entertainment, sports, journalism, politics, and of course, celebrities. The statement released the day the form was made public by Tina Bhatnagar, Twitter’s vice president of User Services, suggested that the company was expanding its efforts to include accounts that weren’t on the A-list. We want to make it even easier for people to find creators and influencers on Twitter so it makes sense for us to let people apply for verification. We hope opening up this application process results in more people finding great, high-quality accounts to follow, and for these creators and influencers to connect with a broader audience. That quote might have given a little too much hope to some people, myself included. Let’s take a deeper look into the process. So, how hard is it to get verified? At the time of the rollout, of the 310 million monthly users, only 0.06 percent were verified. This worked out to about 186,000 individual accounts. Over the past 12 months, only 83,350 accounts have been added to that number. If we are to assume this number is derived from roughly the same amount of monthly users, the growth was only 0.0026887 percent over last year’s total. Cheer up, though. At least there’s a higher chance of being struck by lightning than becoming verified on Twitter, so there’s that. Although the odds are pretty dismal, I have seen people apply and succeed. I was not one of them, however. The first three times I applied, I was shot down. In spite of having all of the links and credentials I needed, I received a denial email within 48 hours. Determined, I continued to work at what I was doing, whether it was music or journalism. When the fourth try yielded the same results, my disappointment turned to determination to find answers because something didn’t feel right about any of this. After suffering in silence, I became more vocal about the issue in the hopes that I wasn’t the only one dealing with this issue. According to Twitter’s standards for any account to be considered, there should have been no reason for such a hasty 48-hour denial. As it turns out, several other people were experiencing the same problem and our situations were very similar. We were all qualified under the guidelines within our respective professions, and all of the basics of our accounts (verified phone number, business email address associated with account, appropriate header image, clear and professional profile photos, set to public, etc.) were in line. We had links, credits on IMDb, Wikipedia pages, awards, you name it. The end result was always nil. One creator in the Twitter community who shared his familiar denial story with me was Canadian filmmaker Dee McCullay. It was agreed that there was no other conclusion than to believe that instead of a manual verification process performed by employees at Twitter (what was assumed in the beginning), our applications were being handled by an algorithm that automatically denied us. Several other people came forward and one other provided data. This may sound like paranoia, but don’t put your tin foil hats on just yet. In the chart below, I tracked data from the past year of failed attempts for myself and two volunteers. The pattern is a bit telling and appears as though what I believed is correct. Twitter is automatically denying accounts, regardless of qualifying under their guidelines. Regardless of whether or not I am correct to believe this, as the many others who have experienced this problem do, something seems amiss with the process that Twitter uses to verify accounts. People who qualify are being left out in the cold. This is an issue that the company needs to fix in order to continue improving its service and will certainly help in providing a higher-quality experience for those that use the service. I’m sure that investors will agree with that notion, as well. Will there be a change? Only time will tell. There are far greater injustices in the world than being denied verification for a year, for sure. However, for those that have done right by Twitter that are being passed over, it sure does seem to be a big deal. It’s time to start listening, Twitter. Read next: Now that MOOCs are mainstream, where does online learning go next?